Thinking about what to make for breakfast? 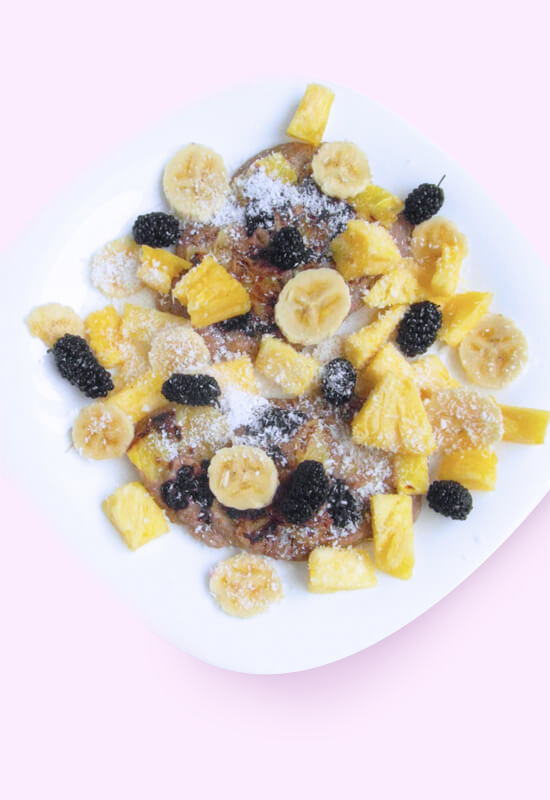 How about making pancakes topped with fresh fruit? Starting the day with these fruity coconut pancakes is really more like breakfasting with dessert, while getting all the energy you need to keep you going. They are very filling, don’t contain any added sugar and can be served with any kind of fruit and seed toppings you like! Dough – I use spelt flour in this recipe as I like the soft and slightly sweet flavor. You can use different types of flour, although wholewheat flour on its own is a bit too harsh for my taste. If you want to make a gluten free variant, you can substitute the spelt flour with banana flour or coconut flour. Mix the flour with the coconut milk and water and add a dash of salt to bring out the flavors. 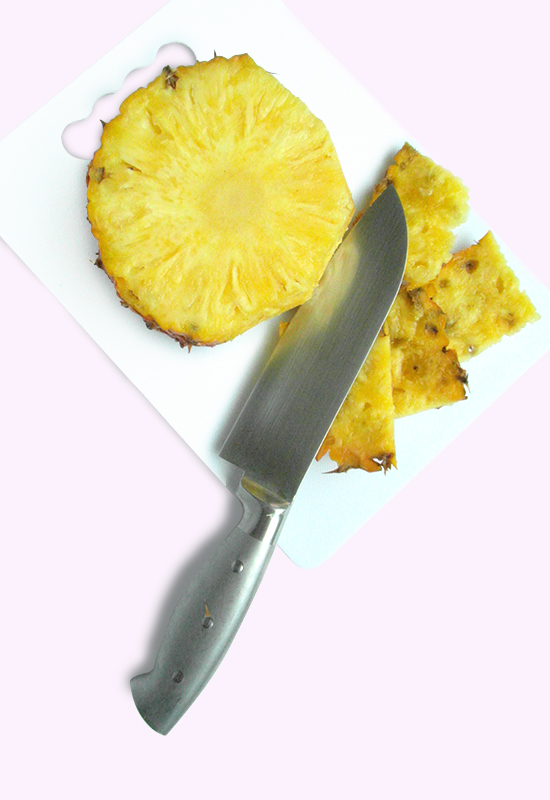 Cut the fruits to bake with the pancake dough – thin slices work well, as they will stick best when you turn the pancakes. 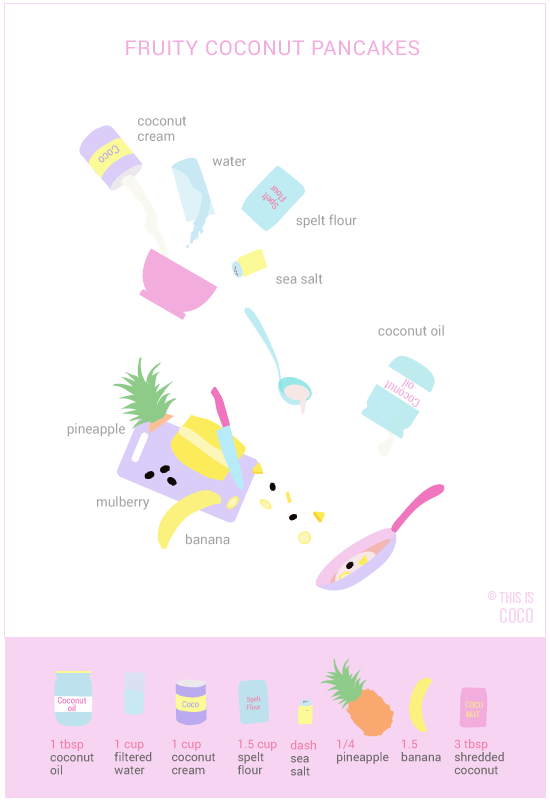 Put coconut oil in the frying pan, when hot enough pour the dough and add the sliced fruit while the dough is still liquid. Bake till golden, turn the pancakes – the fruit side will be done faster, so make sure to keep an eye on them so they don’t burn. Serve with lots of sliced fruit and optionally peanut butter, seeds and nuts.